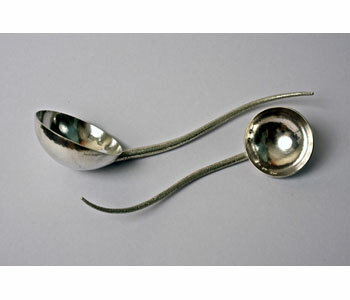 North Yorkshire Silversmith Chris Philipson crafts spoons, bowls, jewellery and even the occasional weathervane. 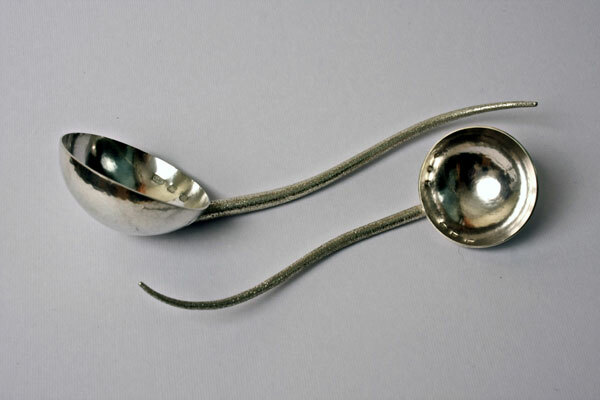 Chris, who worked on Louis Osman's eccentric design for Prince Charles' investiture coronet in 1969 has also created processional crosses, chalices and alms dishes for many Yorkshire churches. He has a long standing interest and understanding of traditional techniques used from the early Bronze age. He looks at surface texture and pattern formed within wrought shapes, and drawis ideas from careful observation and study of landscape and natural form.